While Buzzell, Blanda and Visconti, LLP strives to meet their clients' goals without litigation, if litigation becomes necessary, our attorneys have a broad range of experience in representing clients in civil litigation in state and federal trial and appellate courts with an emphasis on disputes involving real property, zoning and land use and business transactions tailored to a client's needs. Our attorneys strive to provide a results-oriented approach. The Firm's attorneys have handled civil actions involving real estate contracts, development agreements, broker's commissions, easements, adverse possession, partition, underwater land, covenants & restrictions and landlord/tenant relationships. They have also represented clients in Article 78 proceedings, and declaratory judgment actions concerning a wide variety of land use controversies, such as zone changes, local laws and ordinances, subdivisions, site plans, special permits, variances, architectural review and environmental review. 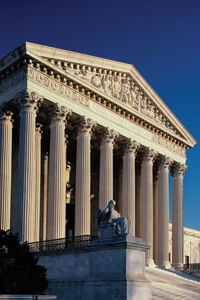 In addition, Buzzell, Blanda and Visconti, LLP appears regularly in connection with enforcement proceedings instituted in the Supreme Court, District Court and Village Courts. Further, the Firm's Attorneys also have strong appellate experience, having worked on appeals and other proceedings in the Appellate Division Second Department, Appellate Division First Department, Appellate Term, Ninth and Tenth Judicial Districts, New York Court of Appeals and United States Court of Appeals for the Second Circuit. They have also represented both landlords and tenants in actions related to leasehold disputes.